August 16. 2011 | By Sadia H.
The moment you hear the bells on the title track of Botany‘s Feeling Today EP, you know that you’re in for a sound that’s vibrantly delicate. Airy and playful tones are paired with potent and hypnotic beats, creating a collection of tracks that make you sway your head and shoulders with a smile. This first EP from Texas musician, Spencer Stephenson, is filled with tracks that make me think he somehow eavesdropped on conversations where I’ve said “remember when…” and “wouldn’t be rad…”, and made music that magically mixed the two. The aptly named “Waterparker” is the track you would want if you and your friends snuck into your favorite water park after-hours and had unsupervised fun until the wee hours of the morning. “Minnow Theme” sounds like Stephenson found your elementary school band classroom, grabbed your favorite toys, and rocked it out in the best jam session ever. 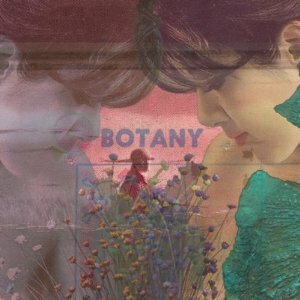 Botany is by no means creating a ‘new’ sound, but the tracks add an alluring, ethereal element to the current offering of electro-pop music. Although Feeling Today gives just a taste of what Botany is concocting, it definitely makes you thirsty for more.